Being a WWE Superstar is rough. There’s a lot of travel, working out, and performing in the ring. There’s also a lot of having fun which is what we see a lot of on social media. 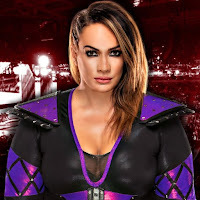 Nia Jax has been very active on social media recently but she hasn’t been in the ring as much. It was noted in the Wrestling Observer Newsletter that Nia Jax is taking time off to “heal up.” Her body is obviously getting some wear and tear as anyone’s would getting that kind of punishment and seeing how she’s now like most girls, she needs this time to recharge her batteries. This isn’t the first time she’s needed a break to recharge either. She took a little hiatus last year and everyone freaked out thinking she was quitting. There was even a rumor going around that The Rock told her to walk out which was not true at all. She just needed a little rest and she could do it because WWE was willing to let her take the vacation. WWE obviously sees big things for Jax in the future as a continued presence on the women’s roster so they want to keep her happy. Therefore, a little break every now and then is a great thing to allow Nia time to heal up.